This is my last AWP post for a long while, I promise. 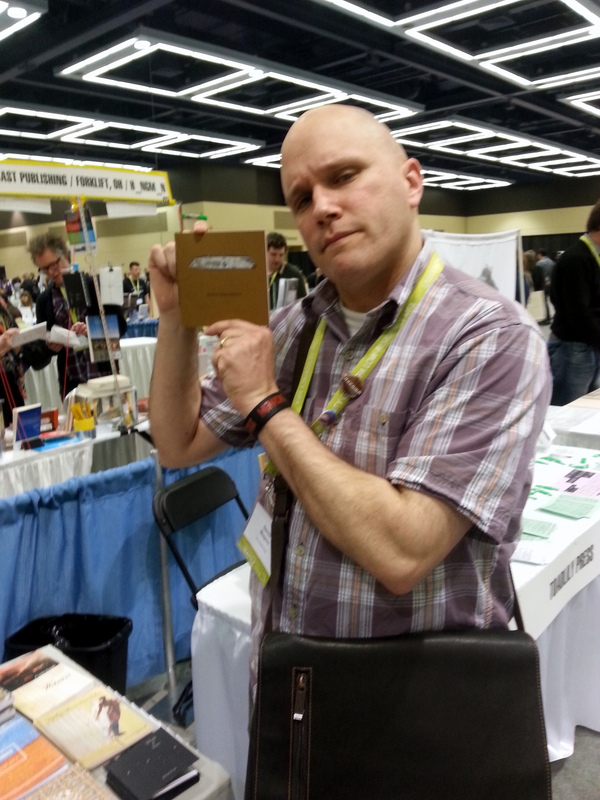 But one of my favorite things at the conference was meeting people who bought my book, Box Cutters. I like to think that whenever someone reads my book, they’re inviting me into their lives as much as I’m inviting them into mine. It’s a kind of literary friendship, which is why I like to get pictures of people with my book.